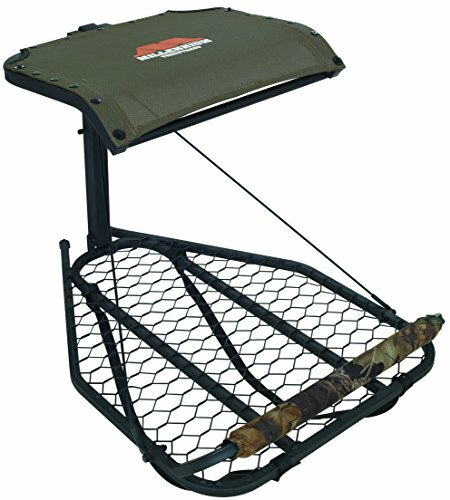 Steel hang on stand features an adjustable fold up seat, adjustable platform, durable powder coat finish, fold flat design for easy backpacking and a comfort max contoured, tight sling seat. Includes foot rest, full body harness, backpack straps and camlock ratchet strap receiver. Weighs 20lbs. Platform measures 24inx33in. Seat measures 20inx16in. Capacity 300lbs. Seat height 21in.